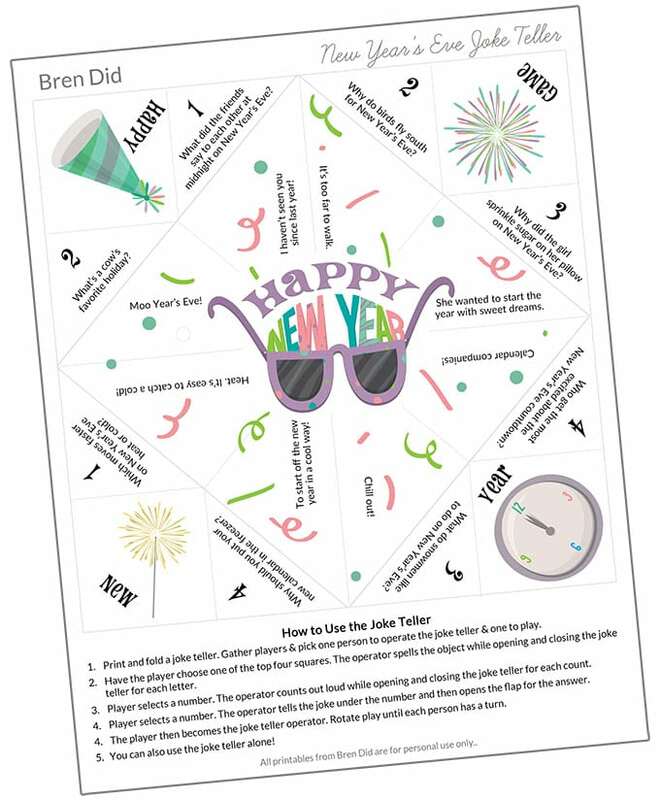 This New Years Eve joke teller is full of silly New Years Eve jokes that are perfect for kids. 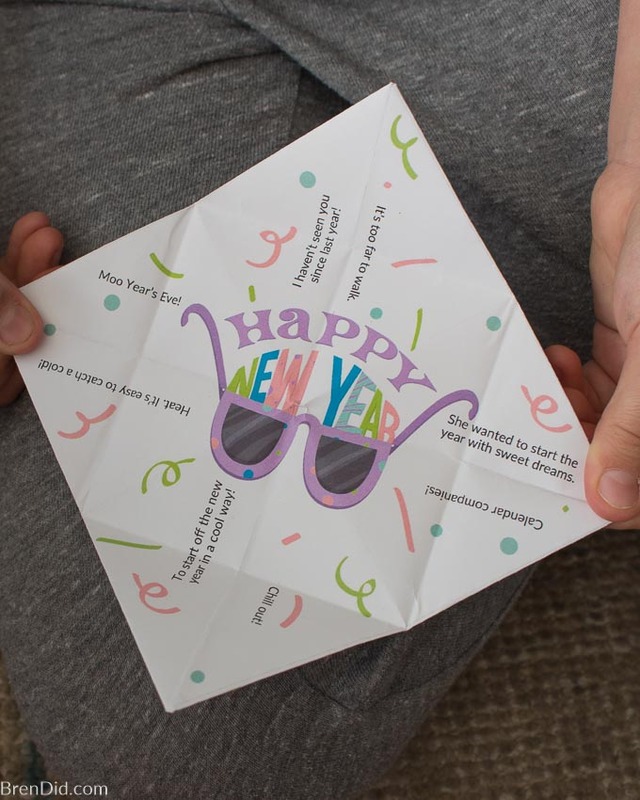 Grab the free printable for a fun New Year’s celebration. 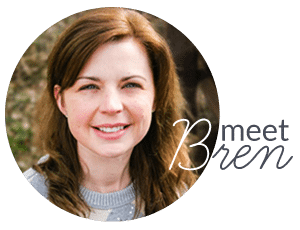 Disclosure: This post uses affiliate links. They don’t cost you a thing and help us bring you creative projects. Read more in Policies & Disclosures. I love telling jokes with my kids. They are thrilled and delighted by the corniest of jokes. The laughs and groans are hilarious! Plus they love learning new jokes to tell their friends. 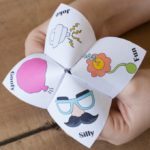 If your kids enjoy silly jokes they are going LOVE this New Year's Eve joke teller. 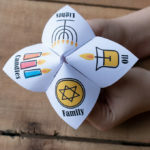 Joke Tellers, Fortune Tellers or Cootie Catchers? 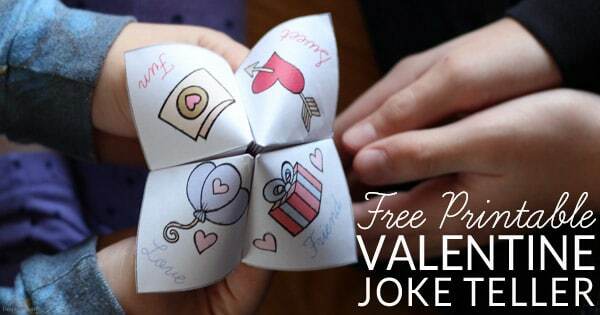 Joke tellers are what I have dubbed my free printable fortune tellers. 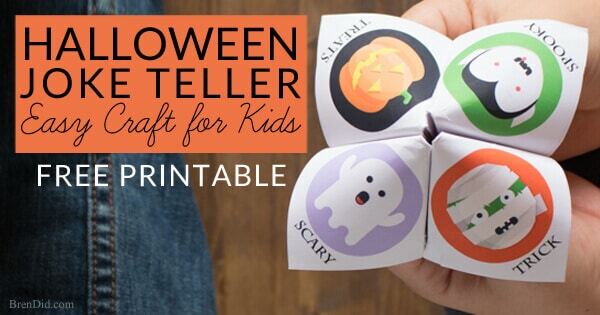 They are a simple folded paper craft that is full of silly seasonal jokes. 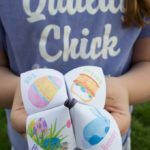 I started making joke tellers for my kids a few years ago and have become a bit of obsessed. 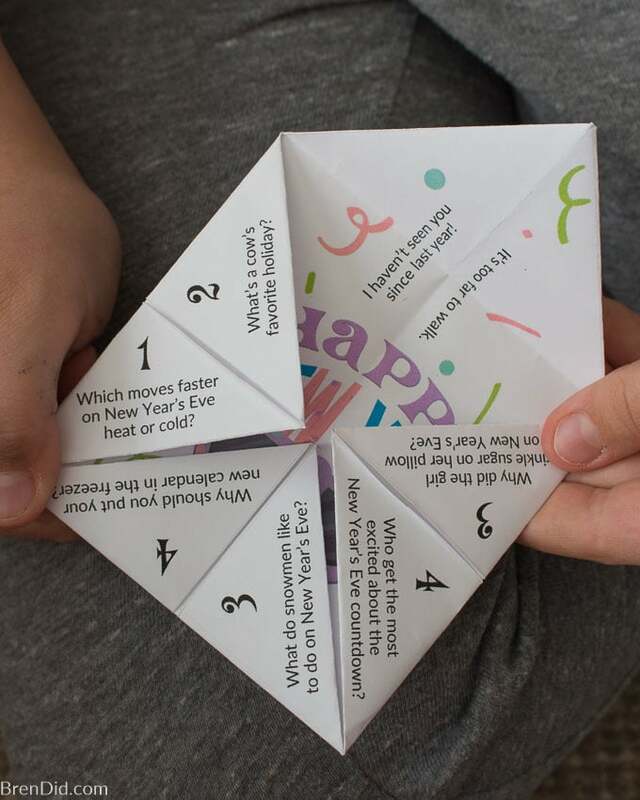 The joke tellers contain eight (8) silly New Year's Eve jokes for kids. What did the friends say to each other at midnight on New Year’s Eve? I haven’t seen you since last year! Why do birds fly south for New Year’s Eve? It’s too far to walk! Why did the girl sprinkle sugar on her pillow on New Year’s Eve? She wanted to start the year with sweet dreams. 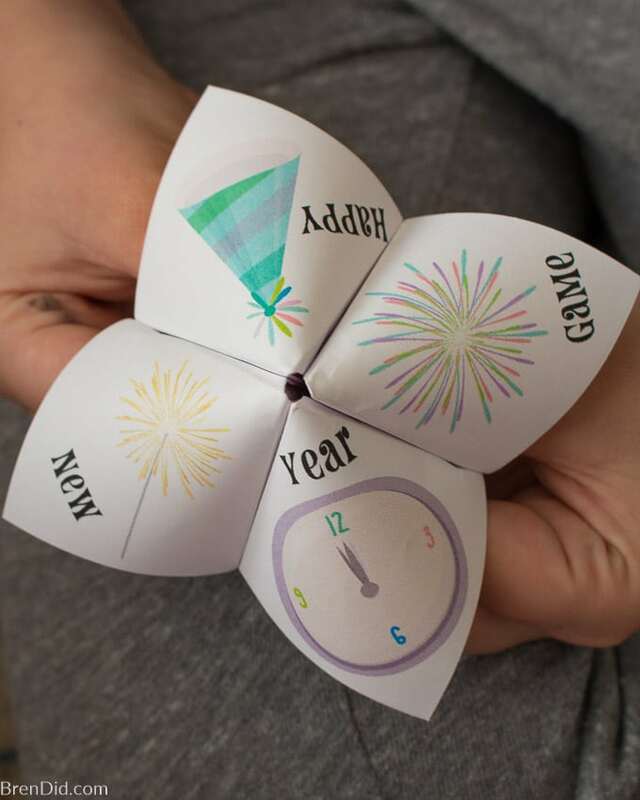 Who get the most excited about the New Year’s Eve countdown? 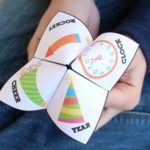 Calendar companies. 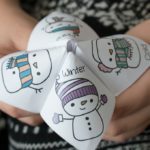 What do snowmen like to do on New Year’s Eve? Chill out! Why should you put your new calendar in the freezer? To start off the new year in a cool way! Which moves faster on New Year’s Eve heat or cold? Heat It’s easy to catch a cold! 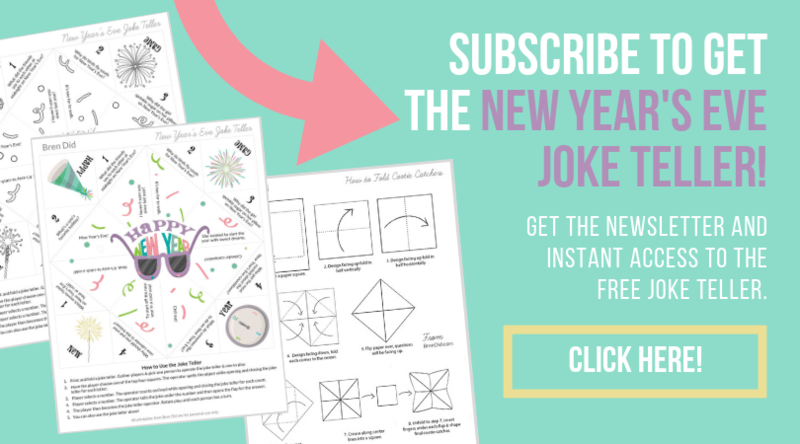 Download the New Year’s Eve Joke Tellers HERE. 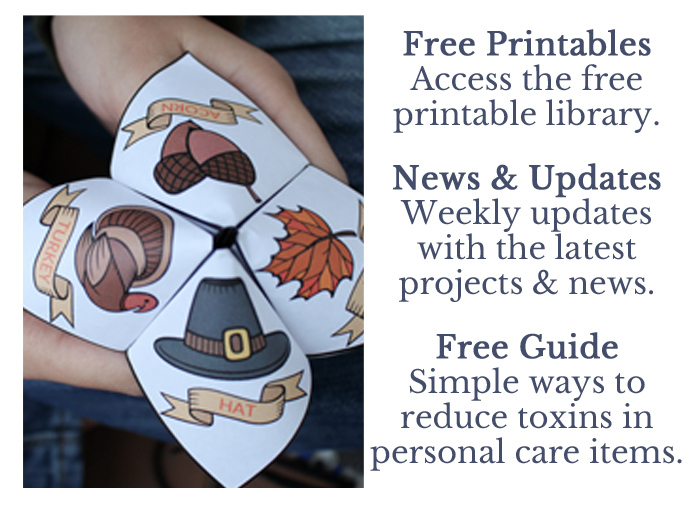 PDF includes full color version, black and white version, and folding instructions. Cheryl, the instructions come in the last page of the download. 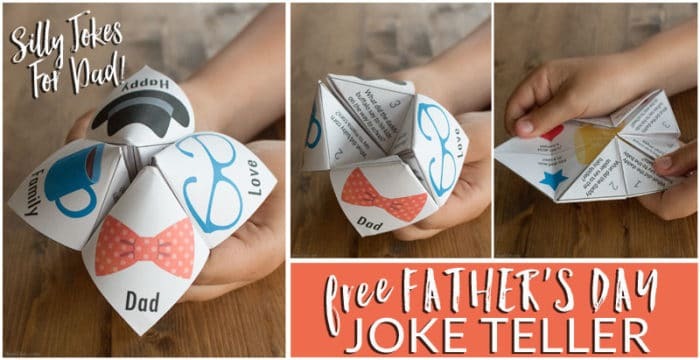 Going to use one of your jokes in our kids worship tomorrow!…Thanks! Love all these for my students! 2nd graders love jokes, now that they “get them”. 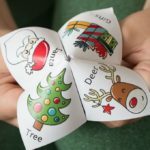 I used this as a Christmas rotation center. 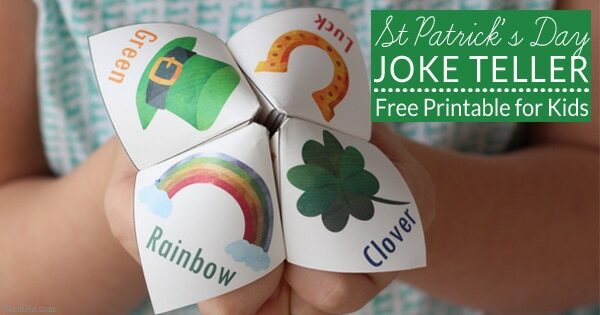 It encourages communication and encourages thinking skills. I love these New Year’s Eve Jokes!